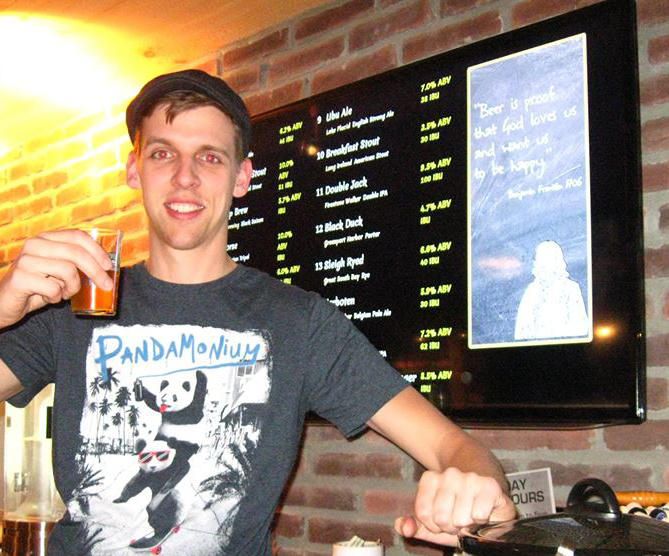 Browse: Home » 2014 » April » Hoptron home brew store to become Back Alley Brew Shop. Hoptron Brewtique, in Patchogue, NY, recently finalized a deal to sell its home-brew store to Patrick McHale, who currently runs craft beer/home-brew sales at Hoptron. Patrick will become the owner around the beginning of May. I asked Patrick for a statement about the change of hands and his new title, owner of the future Back Alley Brew Shop. “Knowing that the home brew store was my passion from they start, they kindly suggest selling to me, and luckily we were able to work out a deal that worked for both sides. Now that I can focus solely on Back Alley Brew Shop, I hope to make some improvements that will help strengthen and grow the local home brew community. Things like expanded inventory, more classes and lectures, a monthly bottle share for home brewers to meet and share brews and feedback, and a new website/blog (hopefully done soon!) to keep home brewers informed about local events as well as providing brew tips. I’d also like to start selling gifts for the beer enthusiasts that don’t home brew—bottle openers, shirts, glasses, books, even hop lip balm.